Comfort Works specialises in building custom slipcovers and sofa covers. Our mission is to rejuvenate all old & tired living rooms of the world - one sofa at a time. We are very familiar with IKEA's, Pottery Barn's, Restoration Hardware sofas and are also able to build any slipcover from scratch from US$329 inclusive of fabric, labour, individual cushion covers as well as customisations on pleat, piping, tufting and any other customisations. We ship worldwide for free via DHL & FedEx. We also make covers for other pieces such as dining chairs, bench, ottomans, curtains, bed sheets and other textile products. Warwick is one of the world’s leading fabric and textile wholesalers providing premium quality materials to industry specialists since 1966. From its humble beginnings as a boutique family-owned company, Warwick has grown to include showrooms in Australia, the United Kingdom and New Zealand and has established an extensive international network to be at the forefront of design and distribution. Warwick is continuing to meet the evolving needs of today’s competitive global markets by constantly updating collections and pushing boundaries. 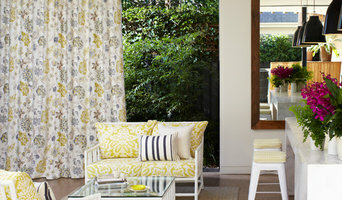 Today, Warwick’s extensive collections range from classic prints to fashion-forward and contemporary weaves. Warwick is committed to fulfilling a promise of innovation, quality and service, now and into the future. Boyac is a leading wholesaler of textiles, fabrics, wallpapers and lighting from international furnishing houses to the Australian interior design, architecture and decoration market. Our experienced team is passionate about textiles and all aspects of interiors and can provide expert information, advice and premium quality materials for a wide range of projects. All our collections are coming from Europe and the US with wide ranges going from traditional prints to emerging trends and contemporary styles. Linen House was founded in Melbourne, Australia in 1993. Specialising in homewares, Linen House produces an extensive range of bed linen, sheets, towels, cushions and coordinating household accessories. Today we are regarded as one of the most innovative and fashionable designer bed linen and homeware brands nationally and overseas. Our textile artists, graphic designers and stylists create many beautiful collections to ensure they cater for a range of individual styles and global markets. Our furniture upholsterers can bring new life to almost any kind of household furniture, whether contemporary or classic in style, including sofas, chairs, ottomans and cushion supplies. We stock a huge range of the latest fabrics trends from here in Australia and from overseas - from linens, velvets, prints and washables to leathers, outdoor fabrics and beyond. Contact us to arrange an appointment today. For everything from chair upholstery to all your fabric requirements, contact inform upholstery + design for expert advice and service in all Melbourne areas. Classic Furnishings Australia has long been recognised as one of the finest designer manufacturers of custom made upholstered furniture. The most desired company in Melbourne-Clean Master Sydney!! We offer our lovely customers the best services at the lowest prices. We are appreciated for our Leather Sofa Cleaning services in Melbourne. We provide Couch Cleaning Melbourne, Sofa Cleaning, Upholstery Cleaning, Fabric Couch Cleaning, Local Upholstery Cleaning, Leather Sofa Cleaning and many more cleaning services. We have been giving the best cleaning services for twenty years at a price which our clients never keep away themselves to afford. We are recognised for our assured results, quality cleaning service and buyer satisfaction. You can hire us by just calling us on +61 414 354 432. We offer same day services also. The Flying Lamb: luxury merino chunky blankets and throws. Luxurious, oversized stitches, hand knitted blankets, made by me just for you. Crafted in my woolly workshop on my hand shaped enormous needles. Chunky knit blankets are more than a product to me, they are a life's work, a daily pleasure and a luxurious piece of chunky treasure that I am privilege to craft for my customers. When you choose a chunky knitted blanket by The Flying Lamb, you are choosing a unique piece of art. Each piece takes time and is influenced by the gifts Mother Nature imposed on the raw materials. Your choices enhance these delightful differences making for an entirely unique piece of work made just for you. These variances are the calling card of a personal and individual hand crafted work which is precisely why you are choosing to buy from The Flying Lamb, not a commercial store. Georgie Young is a textile designer and illustrator based in Melbourne, Australia. Taking inspiration from the natural world, Georgie is always aspiring to seek a balance between the finer details and the bold. With a love of painting and drawing, she’s very grateful that she gets to do this for a living every day! Combining fine art, illustration and textile design, she creates with a range of mediums including gouache, watercolour, ink, acrylics, collage, fountain pen, and pencil which are then finalised using Adobe Photoshop and Illustrator. Please do get in touch if you are interested in collaborating or commissions. Welcome to Fleur de Lys Tapestries – a family company with a passion for fine interior furnishing solutions inspired from centuries of history to the present day. Discover how you can enhance your interior with an extraordinary collection of beautiful Tapestry Wall Hangings, Cushions and Fabrics .As experts in the wall hanging tapestry world, Fleur de Lys Tapestriess is the largest source for wall hangings, and wall décor accessories in Australia. Fleur de Lys's 2500 tapestries mainly come from France, Belgium and Italy. These designs for interior décor are exquisite reproductions of museum classics from the 12th to the 19th century- periods in which they achieved a unique grandeur and elegance which only a wall tapestry can provide. Textile/Graphic Designer, small business owner. Specialising in cushions and art prints, designed and made in Melbourne, Australia. Fully customised designs and colours. I look forward to collaborate with Interior Decorators/Designer and Builders. Part of Girl Bosses Australia. Wortley Group develops, stocks, and distributes a broad selection of exclusive upholstery, drapery, drapery hardware, leather & vinyl. Visit the website to view the huge range and take advantage of the free sample cutting service! 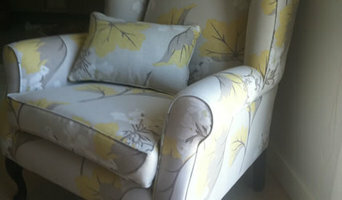 Residential, commercial and bespoke upholstery solutions. Servicing Melbourne's interior designers, decorators, exclusive furniture retailers and individuals alike we are recognised for our craftmanship, quality materials and exceptional customer service. Essentially, upholsterers work with fabric to cover seating, bedsprings, cornice boards, pillows and other furnishings and interior elements. 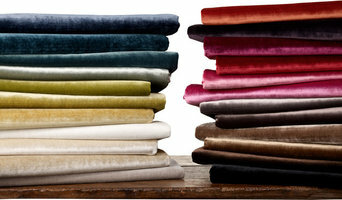 They also might attach or replace padding and batting, trim a piece with fringe or another border, add piping and tufting, fashion slipcovers and refinish wood. Some upholsterers are skilled at furniture construction and repair. They can also advise you about the pros and cons of different fabrics so you can choose the best type for the project in your Endeavour Hills home. Find an upholsterer on Houzz. Narrow your search in the Professionals section of the website to Endeavour Hills, Victoria upholstery. You can also look through Victoria photos for projects similar to yours, and contact the designer for upholstery information.